Did you know that 10 people drown every day in the United States? 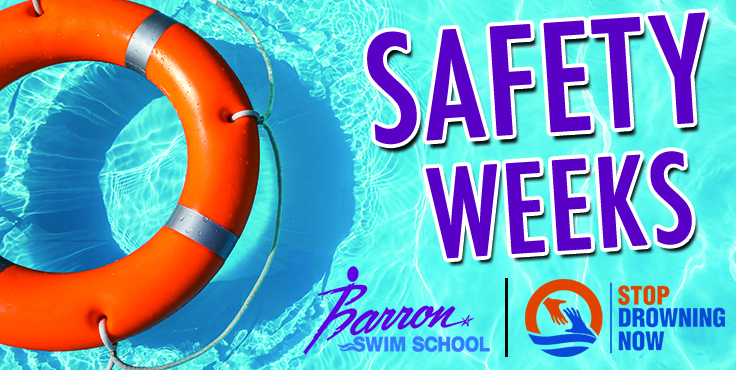 Did you know the leading cause of accidental death for children ages 1 – 5 is drowning? Those are pretty sobering statistics. A big part of our mission and curriculum is teaching our students to be respectful of all bodies of water and give them some helpful tools to use if trouble should arise. We are going to be having two safety weeks. We will run a normal lesson plan during these two weeks. We will do safety circles/Polar Bear Floats and life jackets first, then proceed with the rest of the lesson plan. We highly encourage everyone to participate and wear clothes on the appropriate week. If the child is uncomfortable with having clothes and shoes on, they can remove them after safety circles/Polar Bear Floats are completed or can just perform the lesson in normal attire. We want our students to be comfortable with the feeling of water in their eyes and to not become shocked by that sensation if they are pushed into a body of water. Many of our kids hit the panic button if they get water in their goggles or if they slip down; therefore, we need to teach our students to be comfortable without them.